This series features the selected or collected works of distinguished mathematicians. Biographies of and correspondence between outstanding mathematicians, as well as other texts of historico-mathematical interest are also included. Springer, van Dalen (Eds): Hans Freudenthal, Selecta. Papadopoulos (Ed. ): Nikolai I. Lobachevsky, Pangeometry. Roquette: Contributions to the History of Number Theory in the 20th Century. 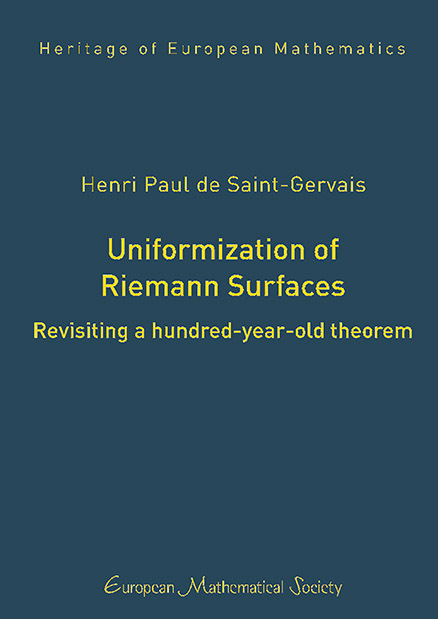 de Saint-Gervais: Uniformization of Riemann Surfaces.